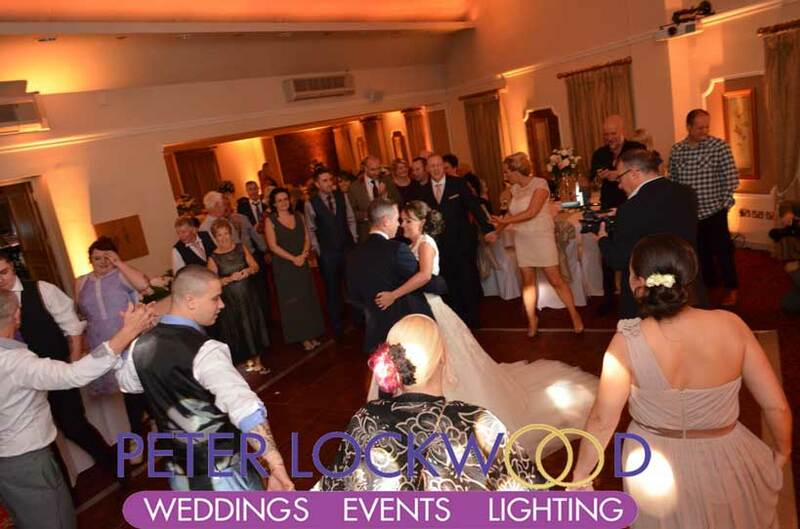 Red Hall UpLighting, Wedding Backdrops and Draping. 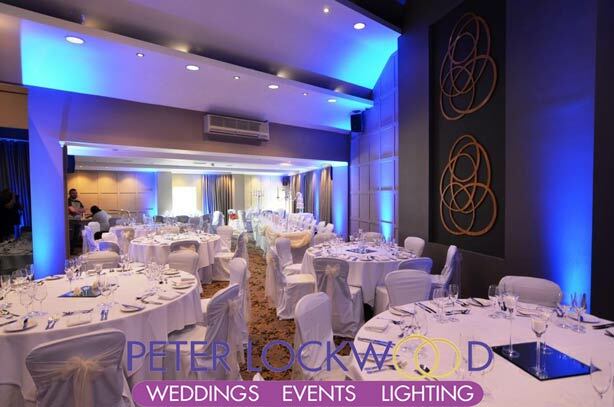 The Red Hall Bury is a lovely hotel with easy access just off the motorway. 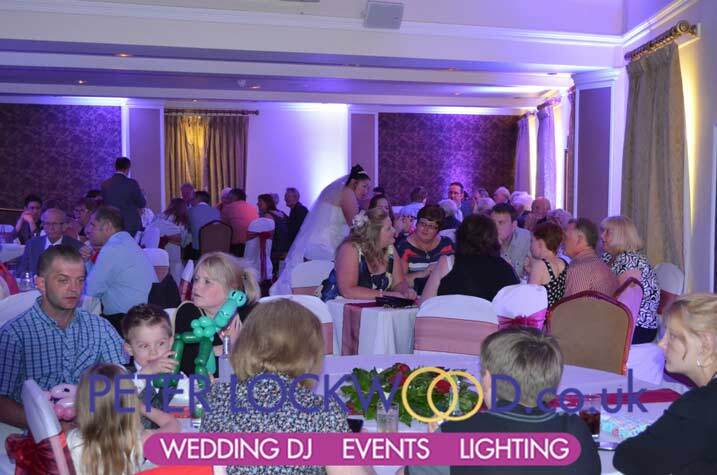 The Holcombe Suite is the largest of the function rooms at the Red Hall. 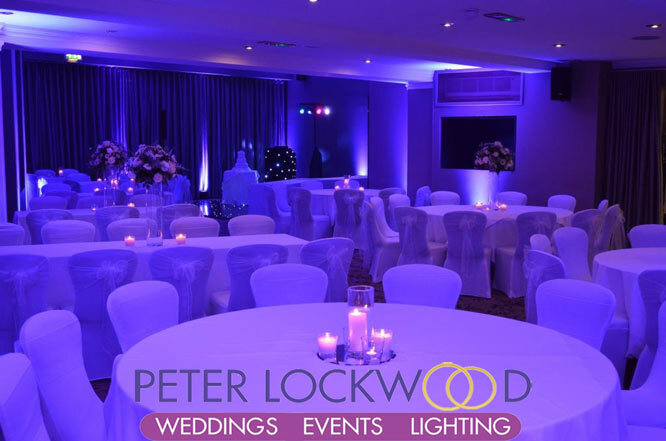 With its own private lounge and bar area, is the perfect setting for weddings. 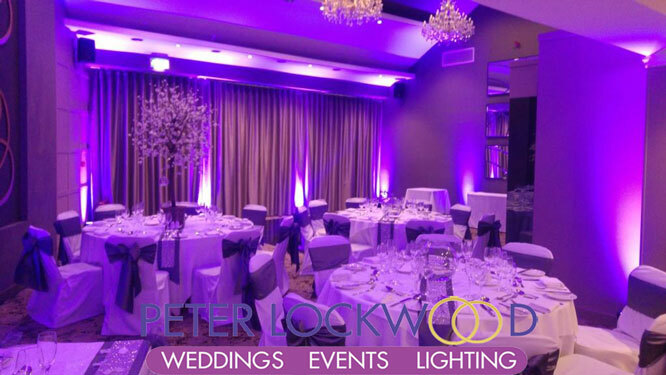 Wedding UpLighting hire from Peter Lockwood will bring the Holcombe Suite alive with your choice of colour. 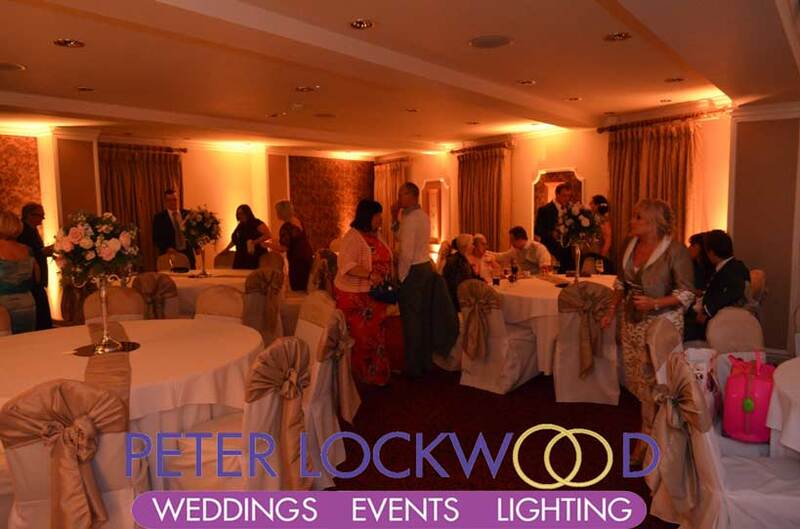 Below is Gold Wedding uplighting in the Holcombe Suite in the Red Hall Hotel Bury. 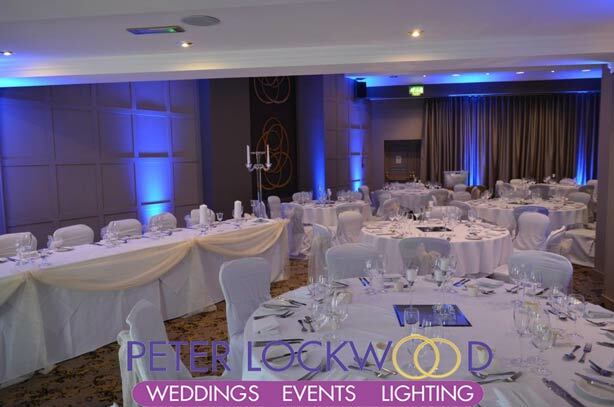 The pictures below show the Red Hall hotel with Blue wedding lighting in the Holcombe Suite. 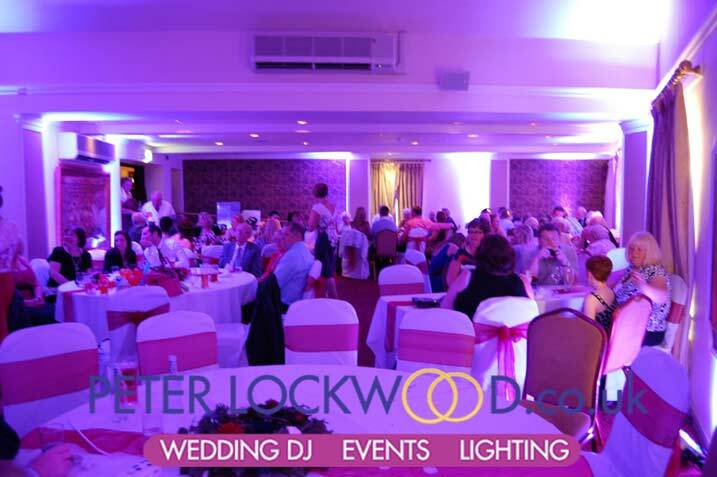 The pictures was taken during the daytime, with the all new decor. The changes made to the room make it so much better. 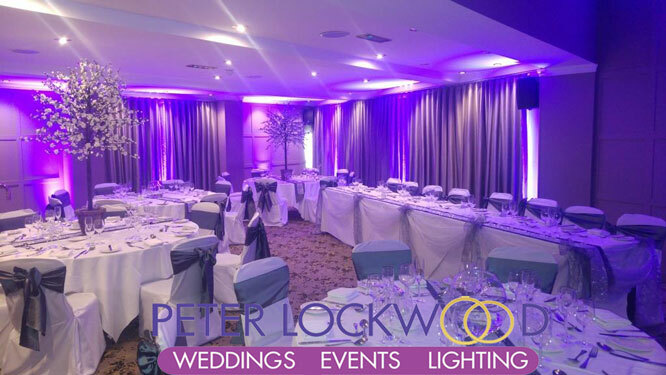 The next set of pictures show the Holcombe Suite with purple wedding lighting, with its low ceiling you get a good colour spread.